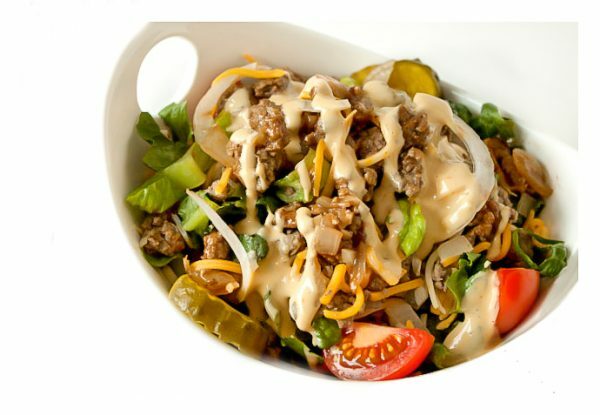 If you love Big Macs but want something lighter and much healthier, you will love this cheeseburger salad recipe with homemade Big Mac dressing! 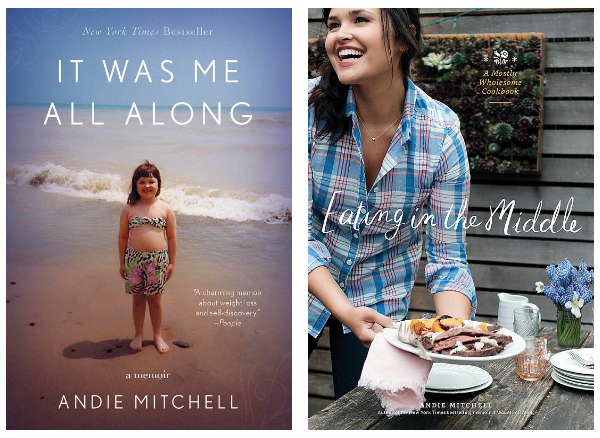 I thought my cheeseburger recipe obsession could be just…I don’t know, burgers? But now, it’s starting to creep into other areas of my food life–even the most unsuspecting of places–like salad. Somehow the concept of a bunless burger wasn’t enough. I had to go and brown the ground beef in a pan, along with onions and garlic, just so I could be sure I’d have a bite of burger in every bite of…salad. Is this the point when I should enter therapy? It’s likely too late for me. 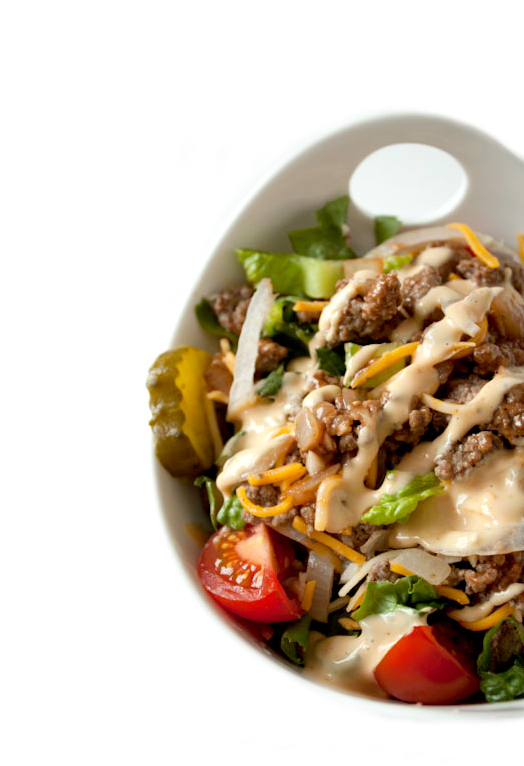 Now that I’ve made a full-blown cheeseburger salad with BIG MAC DRESSING, I can’t very well turn back. I can’t go back to the days of plopping a burger on a bed of lettuce with just any ol’ dressing when I know how wickedly good and hearty this salad is. It’s a bite of beef in every single forkful, with flavors of garlic and onion cooked right in, and a drizzle of that sweet-meets-tangy Russian dressing that we know as Big Mac sauce. 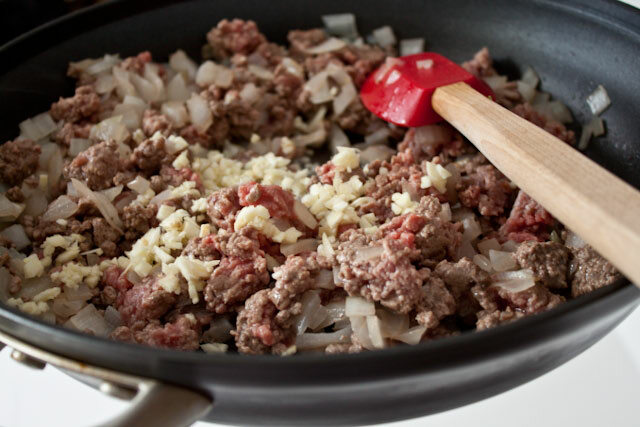 Extra lean ground beef – You can also use ground turkey! Shredded cheddar cheese instead of sliced – Shredded cheese disperses throughout the salad much better than a slice of cheese would, so you can get away with using a little less while still tasting it in nearly every bite! Lightened the Big Mac dressing by using half Greek yogurt/half mayonnaise instead of all mayonnaise – Greek yogurt provides all the thick, creamy texture that mayonnaise does, but with far fewer calories! The bonus is that this dressing is supposed to be a little tangy/pickled in flavor, so Greek yogurt’s natural tang fits right in! This salad is such a win. If you, like me, crave a good juicy cheeseburger pretty regularly, this is the way to enjoy one for a totally reasonable number of calories while incorporating a whole lot of filling and nutritious veggies! And if you have any picky eaters in your life, who wouldn’t dare touch a salad and love a McDonald’s run, I have a feeling this is the salad that could get them to eat their greens. Make it and let me know if you love it as much as I do! If you love McDonald's Big Macs but want something lighter and much healthier, you will love this cheeseburger salad recipe with homemade Big Mac dressing! In a small bowl, whisk the mayonnaise, yogurt (or sour cream), ketchup, water, vinegar, relish, onion, sugar, hot sauce, and a pinch of salt. Set aside. In a large skillet, heat the oil over medium-high heat. Add the onion and cook, stirring frequently, until just beginning to soften, about 2 minutes. Add the ground beef and cook for about 6-7 minutes, stirring occasionally and using the spatula to crumble the meat. Add the garlic and stir constantly for 30 seconds, until fragrant. The meat should no longer be pink; if it is, continue to cook until browned. Remove pan from heat and set aside while you assemble the salads. Divide the romaine, tomatoes, and cheese evenly among four large bowls or plates. Divide the beef mixture evenly among the salads. Drizzle each serving with 2 heaping tablespoons dressing. Serve immediately. Click on the picture a second time and the recipe will appear blow the picture on a new page. By the way, did you get a new blog design?? Looks awesome! Ca’t wait to try this – I LOVE cheeseburgers! This looks AWESOME, especially with the dill pickles!!!!! I love pickles! Yum! This looks delicious and I’m always excited to get new salad ideas! By the way, I love the new look and layout! The last one was a little too cluttery and not as user-friendly. This is great! It’s attractive and feels more intuitive. Yup. Making this for dinner tonight. Looks awesome! why do you use full fat mayo and sour cream? I prefer to use full-fat versions of many things because flavor-wise and texture-wise, they’re the best. Feel free to swap out lower fat versions to your liking! i figured it had to do with flavor or something! i feel like i, personally, tend to eat less when i use a full fat version and that i savor it more! but i hate mayo! so i will likely swap in some greek yogurt. this is going on my weekly menu next week! i’m very excited for it!!!! It’s a good idea to use full-fat (or at least reduced rather than fat-free) dressings and cheese for salads. Your body needs the fat to process the greens. If your’e worried about using too much dressing, use the old Weight Watchers tip and dip your fork in the dressing on the side, then pick up some salad. You use a lot less dressing, but still get the flavor. Thanks for the Nutritional Info BUT you forgot the SODIUM – Which I’m betting is SKY-HI. Looks yummy so I’m gonna try it – So how much sodium per serving? Me AGAIN – When I make this I’ll OMIT the Oil – for 1 thing you lose the healthy benefit when you heat Olive Oil, so if you insist on using oil it s/b Canola or Veg Oil. I will SUB Pam Spray to sauté the Onions & there’s fat in even Xtra Lean Beef,so you DON’T NEED OIL. just saying. ALSO this would be good with OVEN Fries OR Wedges to take the place of F-Fries (toss in a zip-loc bag with Veg Oil) & sprinkle lightly with HALF-Salt & Garlic Powder (NOT Garlic SALT) & any other herbs you fancy. Bake @ 400F about 30 Mins. YUM. Low and non fat versions, especially dairy, are actually not recommended on low carb food plans. Fat carries flavor. If it is removed, manufacturers replace with sugar and chemicals, both of which are unhealthy to ingest. Check the total carb count between the two versions and you will likely find the full fat version has less carbs. Fat is not what makes us fat. Simple or processed carbs do, raising glycemic levels, causing fatigue and foggy brain, and contributing to serious digestive issues. This made me smile. I’m gluten-intolerant, and there’s not a whole lot gluten-free to eat in the cafeteria at work. So one day, I served myself up some salad greens with a little bit of shredded cheese, and yep the tomatos and a couple of pickles. I bought a hambuger patty and chopped it up and put it on my salad, which I topped off with a packet of light mayo, mustard and ketchup. And it tasted good! I have been daydreaming about this all day. I NEVER do that. All through work, all through 90 minutes of yoga. Could not get it out of my mind! I made the salad dressing and chopped onions before yoga so it was like a 10 minute dish from skillet to table. Served it on heirloom lettuce and it was MAGNIFICENT!!! This is going in the rotation. As a working mom, dishes like this are my salvation. And thank you for using full fat food. It took me a really long time to understand that there is no “bad” food. I really, really appreciate that. I have had this giant craving for a burger the past few days and I think I may have found the solution! This looks incredible. I want it in my mouth right now! Oh my goodness, this sounds way better than I would have ever thought! I am going to make this very soon. We have Salad Monday in our house. You don’t know how much my husband is going to love this break from our normal salad!!!! Thank you. CAN NOT WAIT to try this! why have i not thought of this myself? five hours and i can go to the store for ingredients!!!!! Pampered Chef has a similar recipe; I think yours looks better, though! The PC recipe has you toast a burger bun and use it as croutons, which might be a good addition if you’re not watching the carbs. What a fun salad – this would be about the only way I could get my husband to eat a salad for dinner! OMG, this is totally blowing my mind, not only does it sound delicious…..but it looks absolutely AMazing Too! I made this for lunch yesterday! It was delicious :-) Brilliant idea! I will definitely be making it again. Thanks! I’m not a fan of McDonalds at all, but that salad was delicious! Big Macs are my husband’s favorite, and he was skeptical of a hamburger salad, but he loved it. Thanks! BEST DINNER EVER. I was so excited about making this last night. It did not disappoint. Thanks for making healthy food fun! Mmmmm… This looks amazing. I’m gluten intolerant so I have to nix the bun anyway, and a salad is the perfect way to get all those yummy flavors in. Yeah! Burger, my favorite burger place in Atlanta (which actually has gluten free buns, by the way!) has this amazing sriracha mayo that I bet would taste incredible on this salad as a dressing! I cannot wait to try this! I even think my fiancé will like it, too! I love it! A Big Mac without the bread, and without having to stand in line at the temple to metabolic syndrome known as McDonalds. Love this one! I have tried this on pizza, hadn’t thought about a salad until now. Thanks for sharing this! I made this tonight & my salad-loving 6-year-old & I gobbled it up! Awesome! I pulled this recipe from the back of my brain (put on hold a while back) and pulled it up on my phone at the grocery store. Absolutely one of the best salads I have ever made (salads NEVER taste as good when you make them yourself IMHO)…I was skeptical about the dressing, but oh my gosh – delicious! 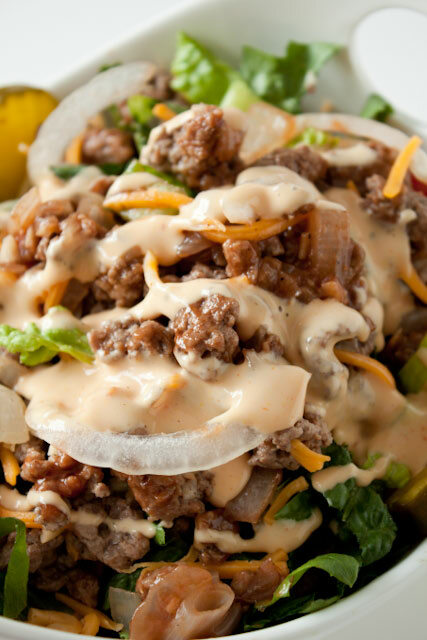 I have Burger leftover and will be having another cheeseburger salad tonight for dinner – well done and thanks for sharing! Whenever we have burgers for dinner (we have turkey burgers here at our house – bad beef experience… never quite got over it), I always cook a few extra patties to make a burger salad for myself the next day. It’s one of my favorite “left over” lunches & I have to say I can’t wait to try this version! It looks very yummy & I might even convince my husband to try it (McD’s special sauce is one of his favorites). Thanks! Loved this; the boyfriend asked me to add it in the usual dinner rotation, an honor usually reserved for meatloaf, tacos, and spaghetti!!! Way to go awesome lady! Pingback: What Does 1500 Calories Look Like? | Can You Stay For Dinner? That sauce is delicious – my Big Mac loving hubby thought it was perfect! I had the Cheeseburger Salad for lunch. The sauce reminded me of a sandwich they used to sell at Kresge’s (now known as K-Mart). I slathered the sauce on the middle third of a Flax/Oatbran wrap then added chopped turkey, chopped ham, chopped dill pickles and salad mix. Very tasty! Pingback: High Protein Dinners? | Season It Already! Had this for dinner tonight. It is my new favorite!!! Pingback: Main Atkins Diet Forum Feeling Blah! I used double greek yogurt instead of mayonnaise and it was delish! Thank you for such a wonderful idea! We just had it for supper tonight and my entire family loved it. I ended up using the Top Secret Recipe version of the dressing and added a bit of Lawry’s Seasoned Salt to the beef but kept everything else the same. Quick, simple, and really yummy. I look forward to making it again soon. I made this last night. My daughter ate 3 bowls! Yummie! I’m working on a pinterest board of salads with a restaurant twist. This was perfect! I did find the meat needed salt. The previous commenter that used Lawry’s, good idea. Thank You! this looks great! I used to get the cheeseburger salad at a restaraunt here called Benji’s. I’ll have to bake some French fries to throw in it too? You can’t imagine what this adds! Pingback: 15-Minute Spring Zucchini Ribbon Salad | Can You Stay For Dinner? Do you drain the oil from the meat and onions? No, I do not, but you can if you want to! Just wondering how long the mac sauce will stay good for? or should it be used same day? Should stay good for 3 days! Pingback: Cooking, Running & Things I’m Lovin’ | Season It Already! One of my favorite week night meals. Very tasty and easy to make. I noticed that sour cream is not listed in the ingredient list, but in the first line of instruction is says whisk mayo & sour cream, is that supposed to say greek yogurt? what a great idea and I really appreciate how you’ve slimmed this down to manageable calorie count, thank you, what a truly creative salad! Made this tonight for dinner, it was awesome! I will be making this again. Do you use distilled white vinegar (like the kind used for cleaning) or white wine vinegar?